A full-size helmet at a fraction of the cost. 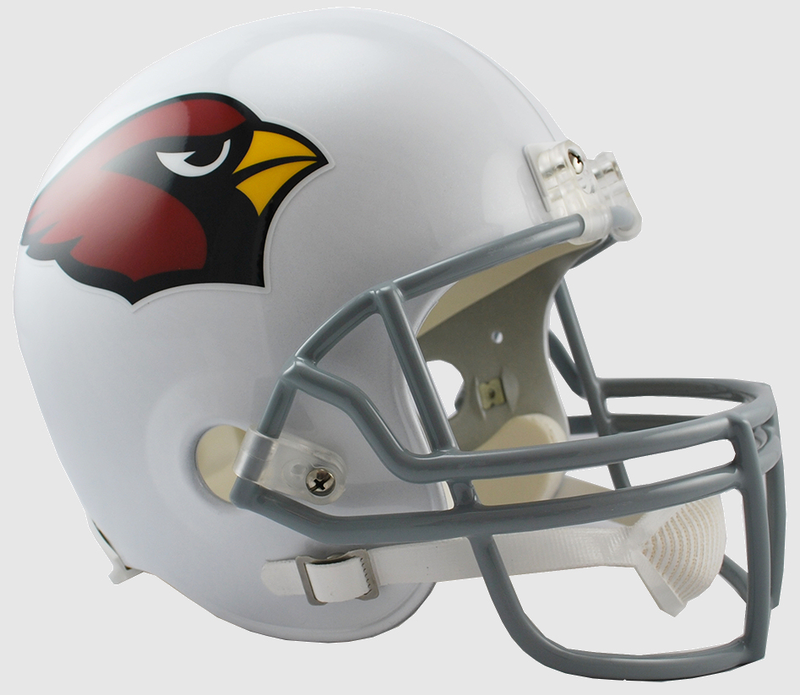 This medium size shell comes in official team colors, uses the same steel, polyvinyl-coated Z2B facemask as an authentic VSR4 On-Field helmet. Interior padding is decorative, not functional. 2-pt chinstrap. Not to be used for play. Approx. 9.5 tall.